Were your test Servers also connected to an On- Prem SCOM Infra? 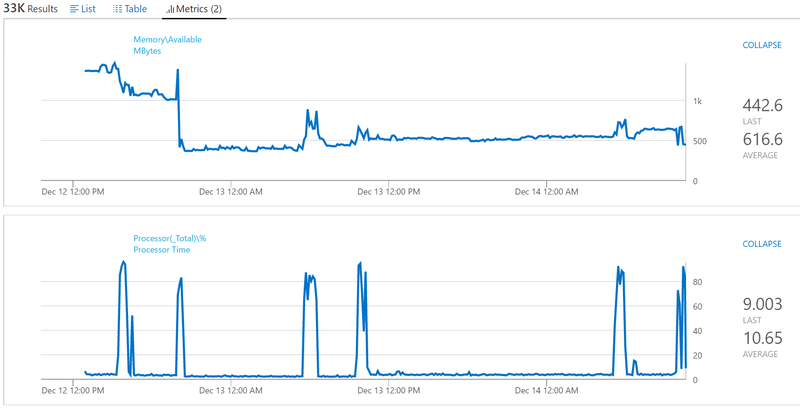 I happen to notice CPU spikes & SCOM Alerts show up on a few of the servers.The spikes were linked to MMS Agent. Removed them from OMS & the CPU utilization came back to normal. @Manoj, negative. This server is only communicating with OMS — no SCOM infra linked here. separate issue – but can you have OMS and SCOM on the same box? do you mean having a SCOM management server and OMS gateway on the same box? or do you meaning having the MMA pointing to SCOM and OMS? then yes you can. If you have SCOM in place, you can add a server or a group of servers that also communicate to OMS.